Just how much does pumping cost? Take your average 50 horsepower pump. In an hour, this pump consumes around 37 kilowatts. Do the math and at a cost of $0.065 per kilowatt hour (kWh) – Ontario, Canada’s off-peak price – that one pump costs a W/WWTP $12 every day, $4400 each year (as it has a running time of five hours per day). But we know that many places, including Canada, the UK, Germany, South Africa, and Australia, have different rates according to the time of day or season energy is consumed. So while our single pump costs $0.065 per hour during low-energy periods, it now costs up to 80% more during Ontario’s peak-energy periods. So if the same company did all of its pumping during these peak periods, over the course of a year it would have spent an additional $3500! 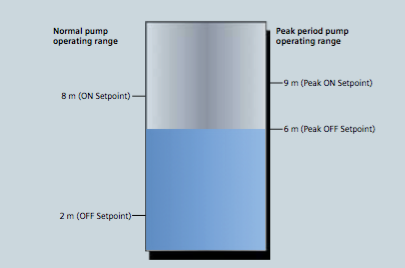 And remember this is just for a single pump – many W/WWTPs have hundreds of pumps, depending on a facility’s size. Of course, no company is going to pump only in peak-energy periods – as we have just seen, that would be outrageously expensive. But, since wastewater treatment happens at all times of the day, facilities must pump during these high-cost periods. reducing the amount of time pumps must run. 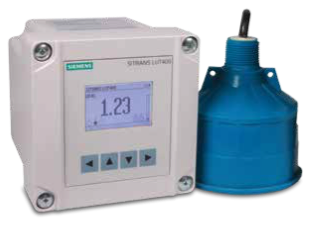 economy-pumping regimes (also known as skimming): SITRANS LUT430 Level, Volume, Pump, and Flow Controller; and SITRANS LUT440 High Accuracy Open Channel Monitor, providing a full suite of advanced level, volume, and pump controls. In normal operation, the controller will turn on pumps once water reaches the high level set point and then will begin pumping down to the low level set point. In economy pumping, the controller will pump wells down to their lowest level before the premium rate period starts, thereby maximizing the well’s storage capacity. The controller then maintains a higher level during the tariff period by using the storage capacity of the collection network. Pumping in this way ensures compliance with environmental regulations and minimizes energy use in peak tariff periods. your well. You will set pump on and off points based on your local peak- energy periods. During summer in Ontario, for example, the peak tariff period is between 11 a.m. and 5 p.m. In the winter, these times change to 7-11 a.m. and 5-7 p.m. You can program up to ve peak zones during one 24-hour period. Another cost-saving feature of this controller is in ltra- tion and ingress monitoring with SITRANS LUT400’s pumped volume feature and built-in datalogging capabilities. In a closed collection network, it is inef cient and costly to pump rainwater entering the system due to leakages from degraded pipes. SITRANS LUT400 calculates pumped volumes, providing useful historical trending information for detecting abnormal increases of pumped water. To use this feature, provide the known volume in the well between the pump’s ON and OFF setpoints. 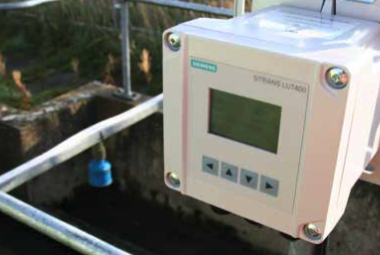 The controller will calculate the pumped volume based on the rate of level change in the well during pumping. It also calculates the in ow rate based on the rate of level change in the well just prior to pump startup. SITRANS LUT400 logs this information for you to review via the controller’s communications options, or by connect- ing a USB cable and downloading logs directly to your computer. By comparing these results, you can see if in ow rates are greater due to rainwater entering the system. 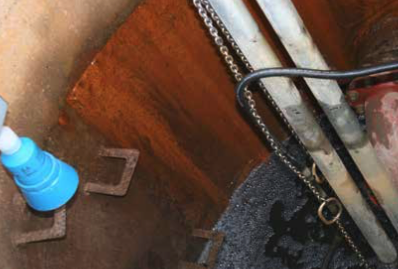 Repair those damaged pipes and the cost savings begin! Through economy pumping and I&I monitoring, SITRANS LUT400 gives companies the potential for sig- ni cant energy savings. One SITRANS LUT400 user stated that every small change his company makes to reduce consumption has the potential to save millions of dollars each year.